Google updates need to be followed in detail when it comes to search engine optimisation. If you take a look at last year, webmasters are now happy that Google is taking steps to let them know about the impending updates that are going to take place. These updates affect the search engine ranks of their website. Like 2016, websites have to rank well in 2017 as well, and it is important for them to fulfil certain criteria when it comes to dominating Google and being found easily. 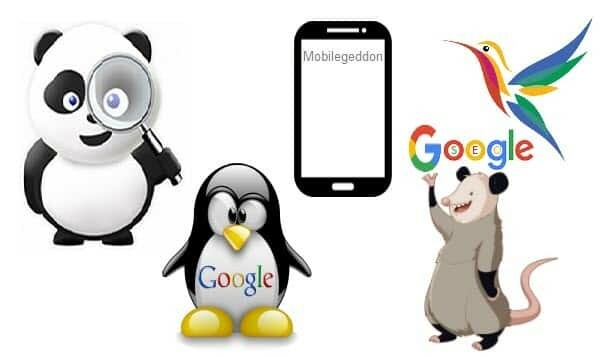 Many SEO experts in Perth say that webmasters should be made aware of these new updates so that they can take care of the issues involved and improve their search engine ranks on Google without hassles at all! When it comes to making your web presence felt in the market, it is crucial for you to ensure that you have an SSL certificate published on your website. Google will penalise you in case you do not have an SSL certificate on your site. Google will insert a notification in the form of an exclamation mark on your URL in case you do not have an SSL certificate in place. This is a warning to the potential visitor that your website is not safe for him or her to visit. When the visitor clicks on this exclamation mark, he or she will be informed of the security issue. To avert losing visitors to your website for good, check the Chrome 56 January 2017 update for your browser and activate it. Do SSL certificates cost you a lot? Now, you might be wondering on whether SSL certificates will cost you a lot or not. SEO companies and experts say that you can get an SSL certificate for your website as low as $26 every year. However, the cost for an SSL certificate for an e-commerce site is $70. Google is concerned about the protection and safety of its visitors, and this is why it directs them to go for SSL certified websites. The search engine wants the customer data to be secure and encrypted. In this way, personal data of a person is kept safe, and there is no fear of fraud and abusive use. Therefore, if you are a website and wish to be found quickly on organic searches, you must ensure that your site is SSL certified. Google will ensure you are on the top of search engine ranks and visitors will keep coming back to you because they know you give them a safe website. The next item that Google is taking care of is pop up ads on web pages. This can be found on mobile devices and gadgets. Visitors often searching websites find these pop-up ads to be very annoying and they often complain saying that they are obstructive and annoy them a lot. Google has also seen that the size of these pop-up ads are so big that go on to cover the whole screen and at times it is hard for the visitor to delete them. Now, when Google is on the hunt for credible websites, and it comes across a mobile website with pop up ads, you as a webmaster will be in for a penalty. The pop-up ads will be a discredit for your site, and so Google will not favour them at all! SEO experts of esteemed companies like Joel House in Australia say that when it comes to the intention and goal of Google, this search engine wants to ensure that its visitors get quality content. This is why the experts here guide their clients on a regular basis in their Perth Office. They say that customers online are always on the hunt for quality content and it is crucial for webmasters to use Adwords wisely. The pages should not have any pop up ads, and in case, you find that your web pages have them, it is time for you to rework on them. You should start advertisements through anchor text links and ensure that you hyperlink images to the pages that are relevant to the content. Google will reward you for doing the same. The next thing for you to look out for in 2017 is your website design. Many people are working frantically this year to improve the architecture of their websites. If you take a look at mobile sites today, you will find that most of the people today search the Internet on their smartphones. Google has conducted research, and some of its subsidiary studies have revealed that the load time on an average for a web page on a device that is mobile is roughly 19 seconds. The attention span of people surfing on their mobiles is about 3 seconds. Now, if the web page takes much time to load- in short, more than 3 seconds, you will find that users will abort the website and not return at all. In fact, around 53% of users will never come back to your web page again. Now, Google has established a separate index for mobile pages in their database. Here, the loading time for a web page is approximately 2 to 3 seconds. In case, it takes longer; Google will take note of the same and penalise you as a webmaster of the web page. Therefore, ensure you take the above into account if you wish to stay on top of the search engine ranks. Therefore, if you wish to stay on the top of Google in 2017, ensure that you keep the above tips in mind. Check your website and web pages to make sure that you have everything in order. Hire good and skilled SEO experts for the purpose and keep track of all Google updates. Once you have the website in place, you can dominate high on search engines and generate the web presence and traffic you always have wanted! Why are online shops struggling against the real world?